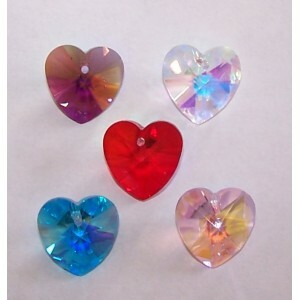 15mm crystal heart pendants ideal for jewellery making, decorations, suncatchers and many othe..
28mm heart crystal colour- clear, pink, blue, lilac or AB clear (Ab crystals have a pearly coa..
30mm crystal heart colour-clear, abclear material- lead free k9 crystal. 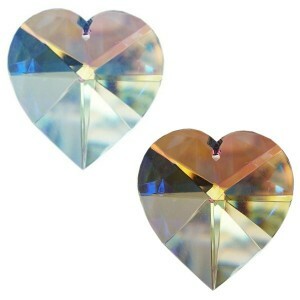 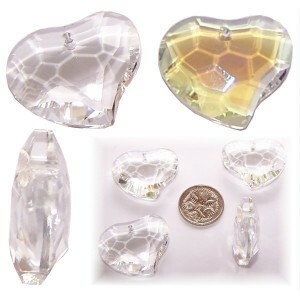 grade A ma..
38mm crystal heart - colour-clear, abclear material- lead free k9 crystal. 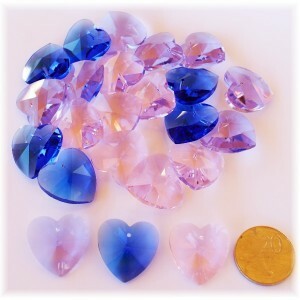 grade 1 machi..
30mm crystal heart quantity- 10 colour- 5x clear, 5x abclear material- lead free k9 c..
12x 28mm heart crystal colour- 3x of each clear, pink, blue, lilac material- lead free k9 crysta..